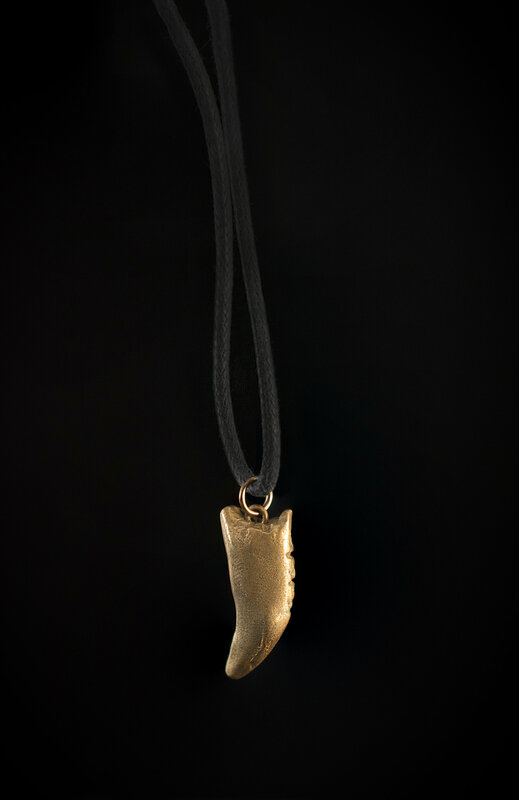 One 1" solid bronze pendant molded from a baby canine tooth from one of the lions at the Conservators Center. 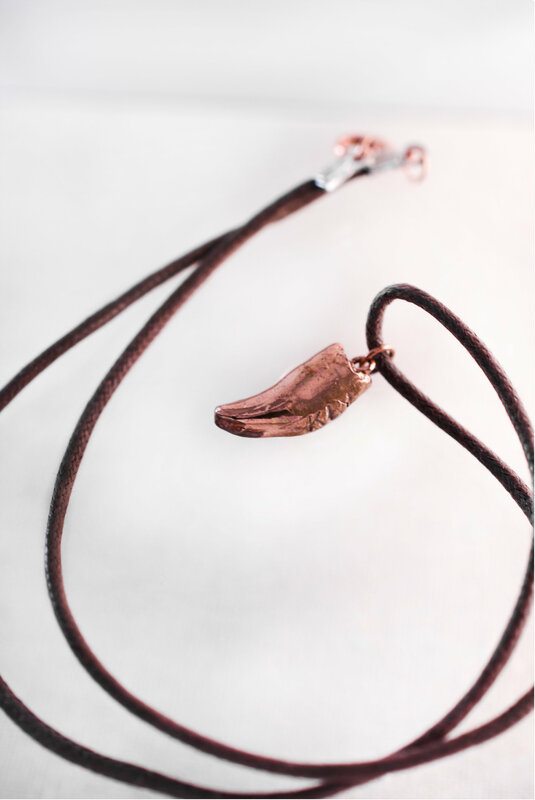 Each pendant is strung on a dark brown waxed-cotton cord and closed with a gold-plated metal lobster clasp. 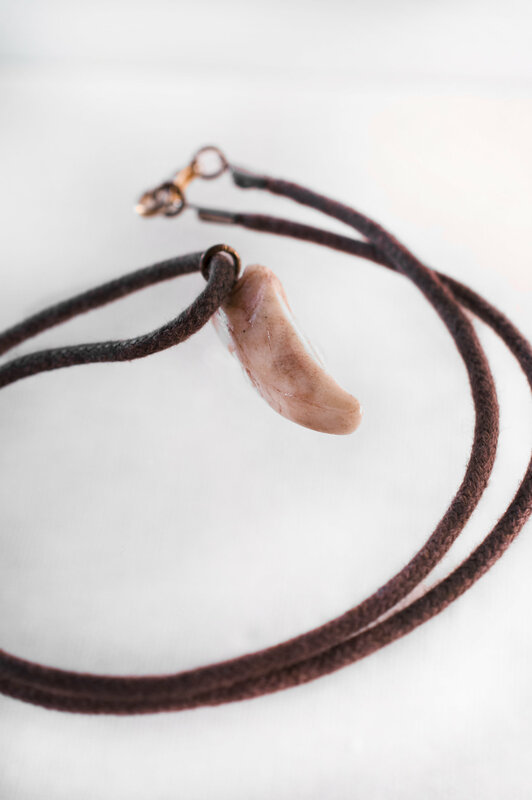 Featuring Beadopotamus whose signature jewelry line features fantastically wild, precious & semi-precious metal clay pendants, created from exotic feline claws and teeth. We carry some in stock in our gift shop. If you'd like to see more options, please view Beadopotamus's Etsy shop. 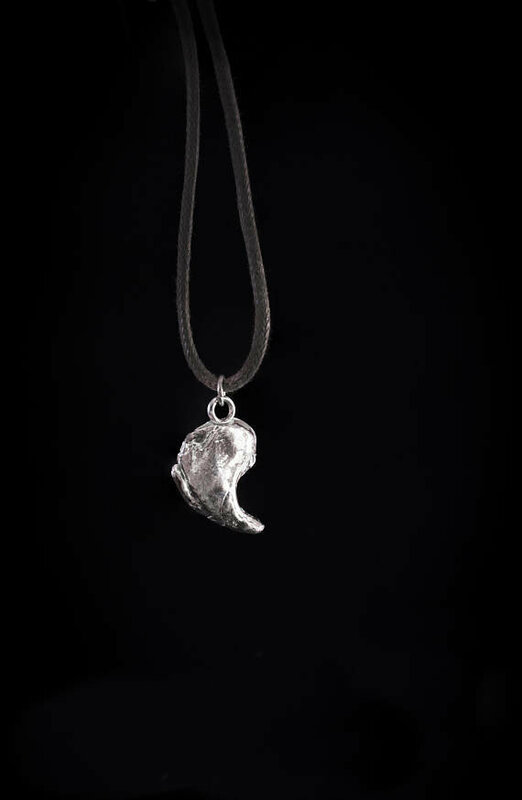 10% of proceeds go to the Conservators Center. 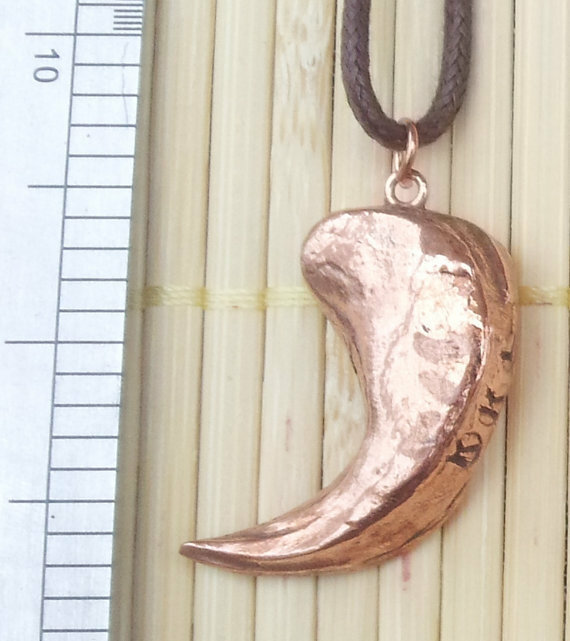 IF YOU ORDER ON ETSY, PLEASE PUT CCGIFTSHOP IN THE NOTES!